Even with titles like Circuit’s Edge, cyberpunk is one of those genres I wished had gotten as much play in CRPGs as they did on tabletops. 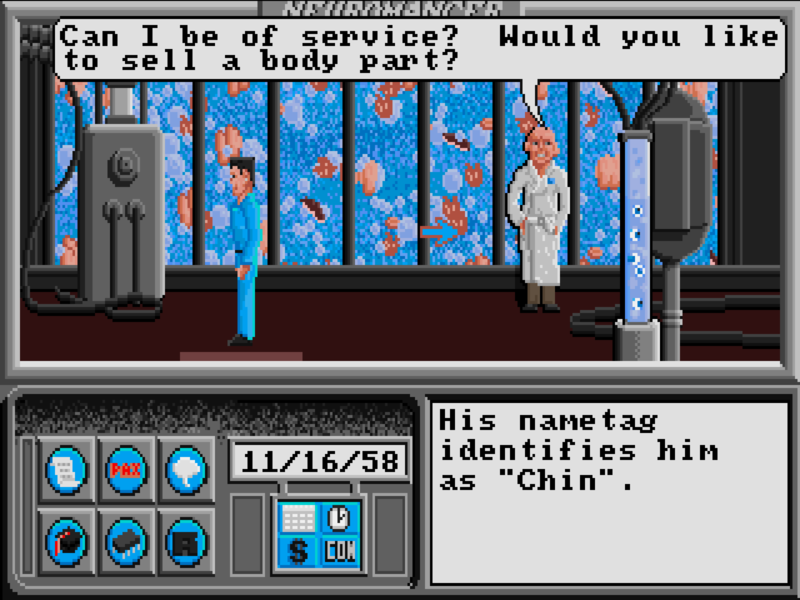 For their part, Interplay went straight to the source with William Gibson’s Neuromancer including word of a potential film emblazoned on the box (the movie never happened). The result was a sort of cross between a traditional 2D adventure and a CRPG, a year before Sierra’s Quest for Glory hit retail. The game doesn’t follow the events of the book, but uses the same setting and some of the characters. In the year of 2058, people plug into the ‘net in a literal sense thanks to a surgically implanted jack in their head transforming all those 0s and 1s into a digital hallucination. And someone or something in there is making all of your friends disappear one by one. As a cyberspace ‘cowboy’ that only has six credits to their name and who spent the last night face down in food that they haven’t paid for yet, they’ll be pulled into the same mystery talking to NPCs for leads, finding ways into places they’re not wanted in Chiba City, and eventually hitting the matrix in search of data and the credits for upgrades and connection time. One could also sell organs replacing them with cheap plastic though don’t expect what’s left of your meat body to survive more than a minor biofeedback shock in cyberspace. 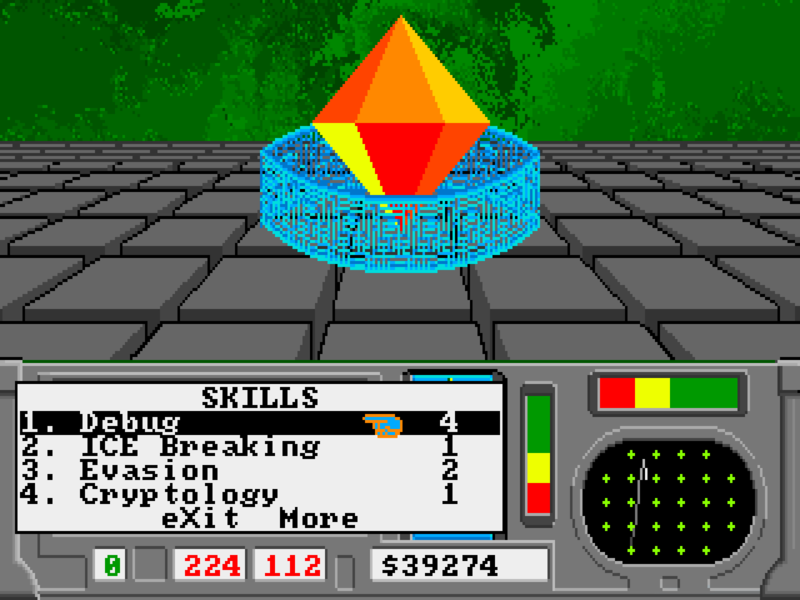 Skills are learned via chips that can be bought and upgraded the same way software and your cyberdeck can be. Spells are software. Those are used in combat within cyberspace against intrusion countermeasure electronics (ICE) and the occasional AI shackled as corporate watch dogs in data fortresses protecting their secrets. It’s also not much of a stretch in seeing how Warren Spector’s Deus Ex shares elements of its gameplay formula with Interplay’s creative adaptation within its own detailed slice of fiction, NPCs to shake down for clues, and in using your own wits to map your way through all of that data. It makes sense.